Natural beauty of wood makes it the one of favourite materials. Hardwood Flooring has a great variety of options. The choice depends on whether it is supposed to re-do a floor, to repair existing or to install a new hardwood flooring over an old floor. Natural aging of a wood only improves the appeal and it’s type. Sound of steps and noise of the removed chairs or other furniture can be heard in the room on the floor below — it is well known to people who lives in apartments or several stories houses. The layer of the soundproofing material, for example a stopper or special soundproof foam, improves sound insulation. 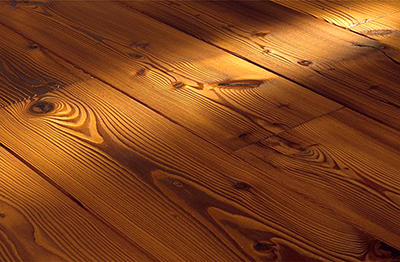 Wider boards from a natural wood are usually more expensive, than narrow because they require a higher quality wood. The wood is the most environment-friendly material for a floor covering from existing now. Being an excellent heat insulator, the wood creates the comfortable indoors atmosphere. It is pleasant to walk barefoot on these types of floors. Excessive humidity in the apartment or house leads to rotting of wooden boards. BUT! You shouldn’t be frightened of thiss. It is possible to fight with them by handling of wood from wreckers and negative factors. Check out our varity of Hardwood Floors or Visit our Showroooms!